Exciting news is coming out of Northwest Arkansas! Just in time for National Arts and Humanities month, Americans for the Arts has released the economic impact results for nonprofit arts and culture organizations in Northwest Arkansas. At an Arts & Prosperity breakfast this morning, Walton Arts Center officials reviewed the study results and discussed the impact on the community. 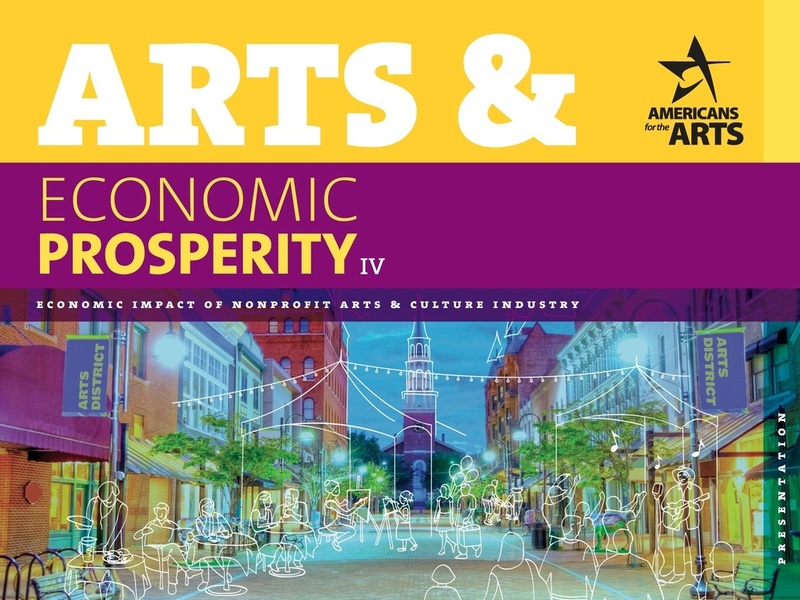 The Arts and Economic Prosperity IV study was funded by the Walton Arts Center, Northwest Arkansas Council and the Bentonville/Bella Vista Chamber of Commerce, and there were 25 nonprofit arts and culture organizations that participated from Benton and Washington counties. Arts & culture organizations generated $46 million in total economic impact in 2010, the year the study was conducted, compared to the previous study in 2005 that reported an economic impact of $16 million. That means during five shorts years and a down economy, the impact of the arts has almost tripled in NWA! NWA arts and culture also generated $4 million in government revenue and supported 1,488 full-time equivalent jobs; almost double that of similarly sized regions. Even the total economic impact of $46 million was $5 million higher than in similar study regions. 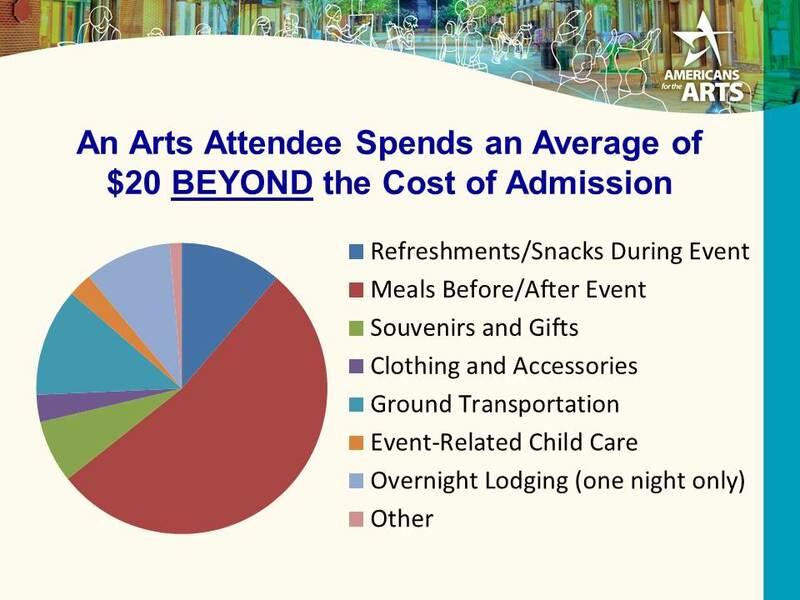 The study also showed that an arts attendee spends an average of $20 beyond the cost of their admission. Arts and culture also have a tremendous opportunity to grow as a form of cultural tourism. On average, non-residents spend $36 on lodging, restaurants and transportation. The research showed that 76% of audiences surveyed at arts events said the event was the primary purpose for their trip. Mike Malone of the Northwest Arkansas Council was among the speakers who discussed the significance of the findings. The Northwest Arkansas Council deals with infrastructure, and highways and water are typically what people associate with them, he said. However, when it comes to recruiting good businesses and talent to NWA, the area’s social and cultural infrastructure become equally important. “All of it matters greatly to building a better Northwest Arkansas,” he said. Our President and CEO Peter B. Lane said a few words as well. "We have a large vision here at Walton Arts Center as we look forward to the expansion of our Fayetteville campus, the construction of a new facility in Bentonville and finding a permanent home for the AMP. If NWA arts and culture organizations have tripled their impact in the last five years, then what great things can we accomplish in the next five?"